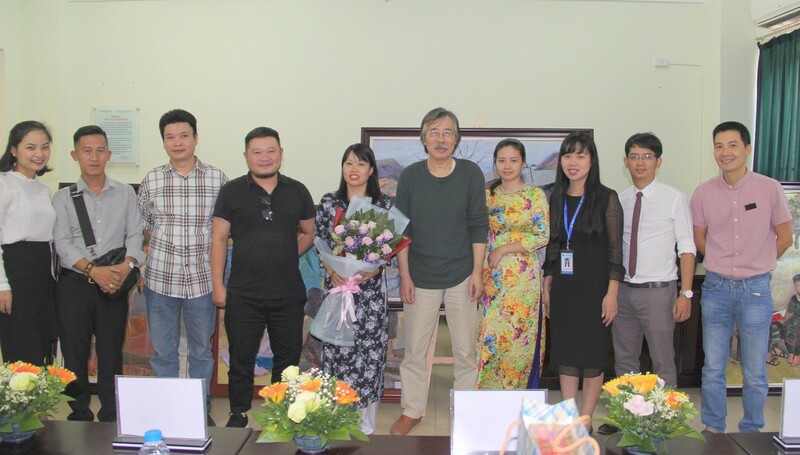 On purpose of assessment on the post-graduate student’s study, on the 2nd November 2018, at Graduated Thesis Room, Post-graduate Studies Department of National University of Art Education, there has had a graduation ceremony of master degree in Teaching theory and methods of Fine Arts, course 3 (2016-2018). The operating council includes Assoc. Prof. Dr. Dao Dang Phuong - Rector, the president of the Council; the other memebers: M.A. Nguyen Quang Hai - Dean of Fine - arts Education Faculty, Vice president of the Council; Dr. Pham Minh Phong - Lecturer of Faculty of Design and Media, Commissary; Dr. Nguyen Van Cuong - Lecturer of Fine - arts Education Faculty, Commissary; Dr. Duong Thi Thu Ha - Dean of Post-graduate Studies Department, Commissary and Secretary of the Council. Students’ art works were diversity in contents to materials. 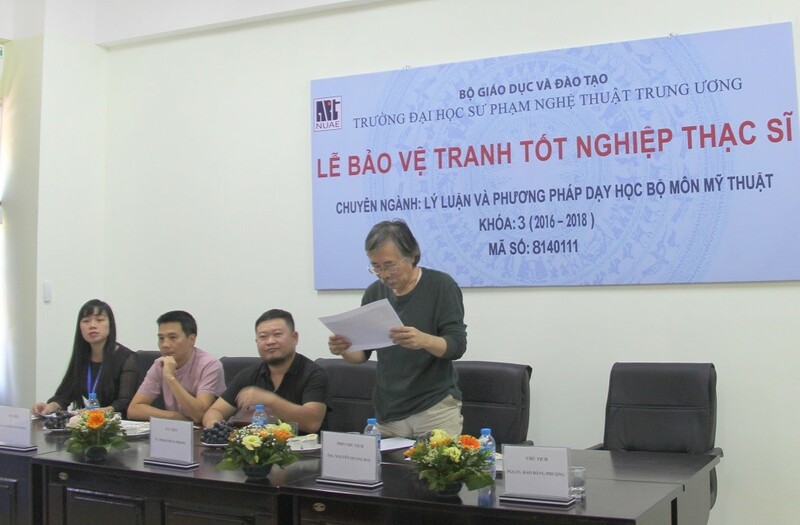 The themes of daily life as Learning Group (Bui Thi Thu Hang), Talking (Nguyen Minh Tan), or apprences of regional space as Noon of Son La (Nguyen Duong Hai Dang), High land (Nguyen Thi Thanh Nga), ect. 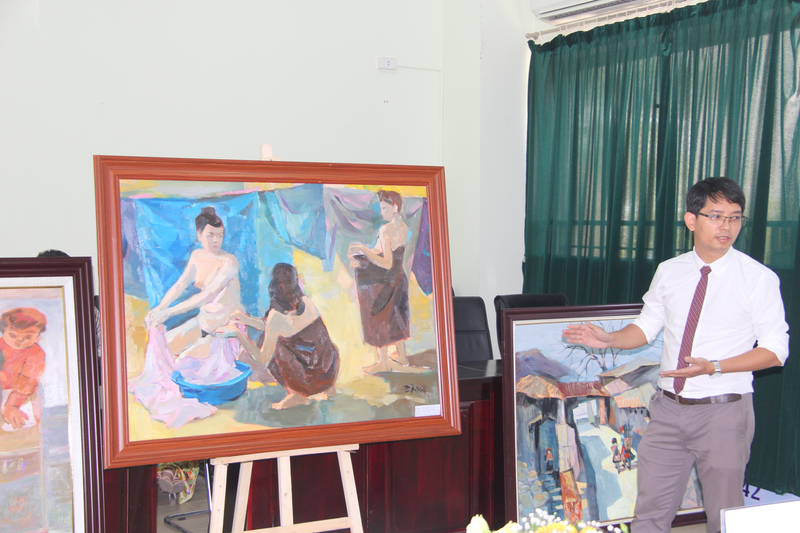 that students displayed by many various materials were appreciated by the Council. The Council issued comments, reviews, and suggestions for the students to improve their work. At the protection session, the students achieved good results, ranked good and excellent.